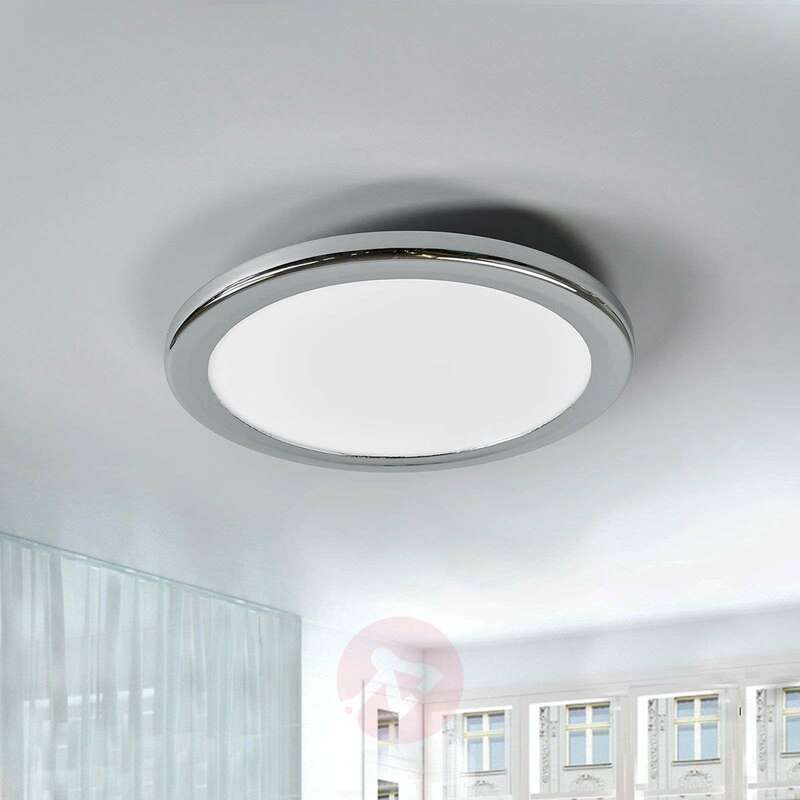 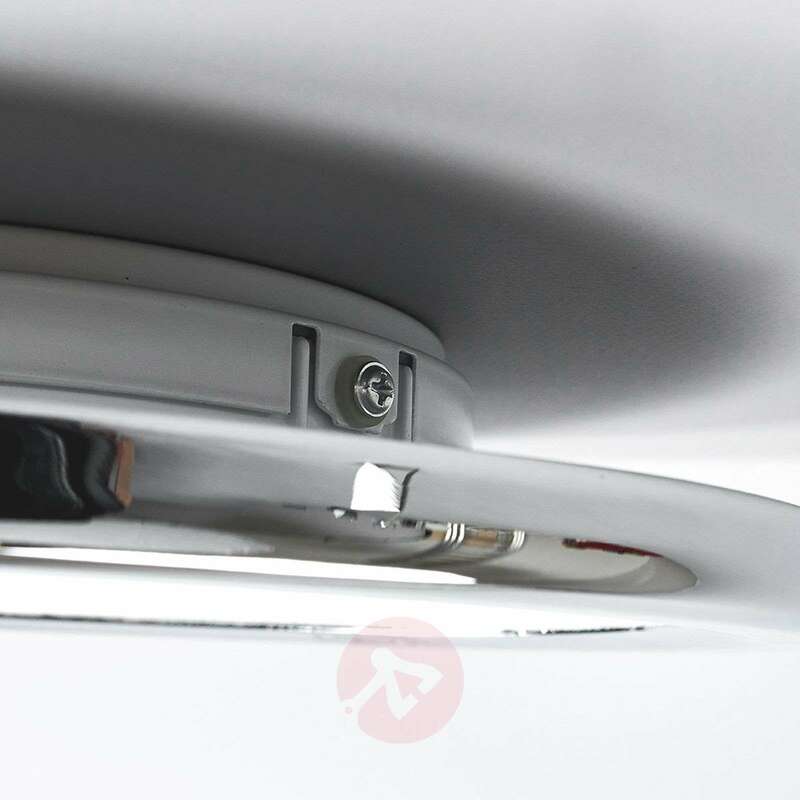 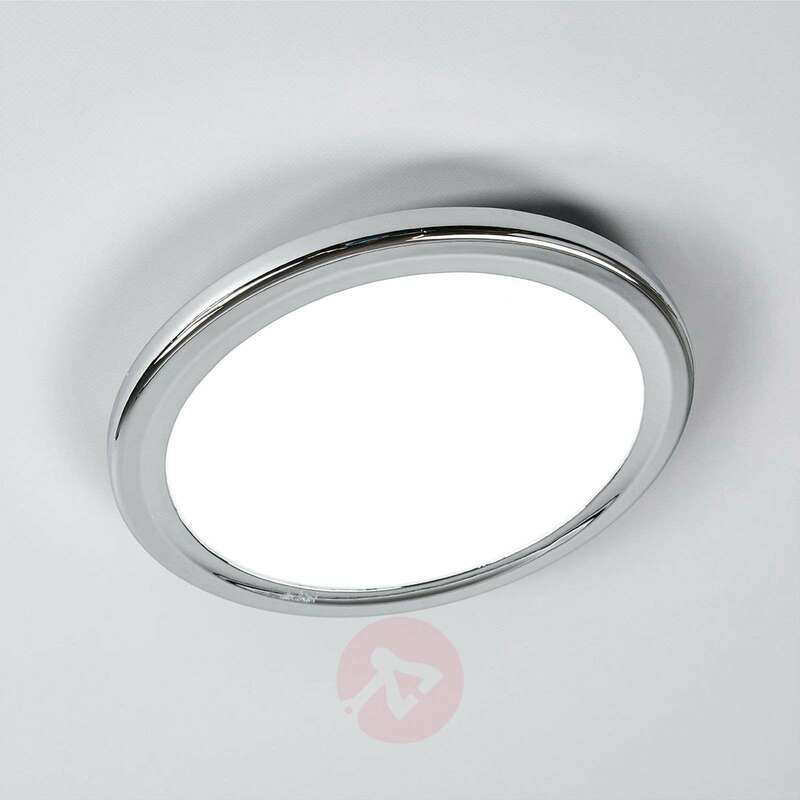 This LED ceiling light has a good light output, but it also features low power consumption, because modern LED technology is used. 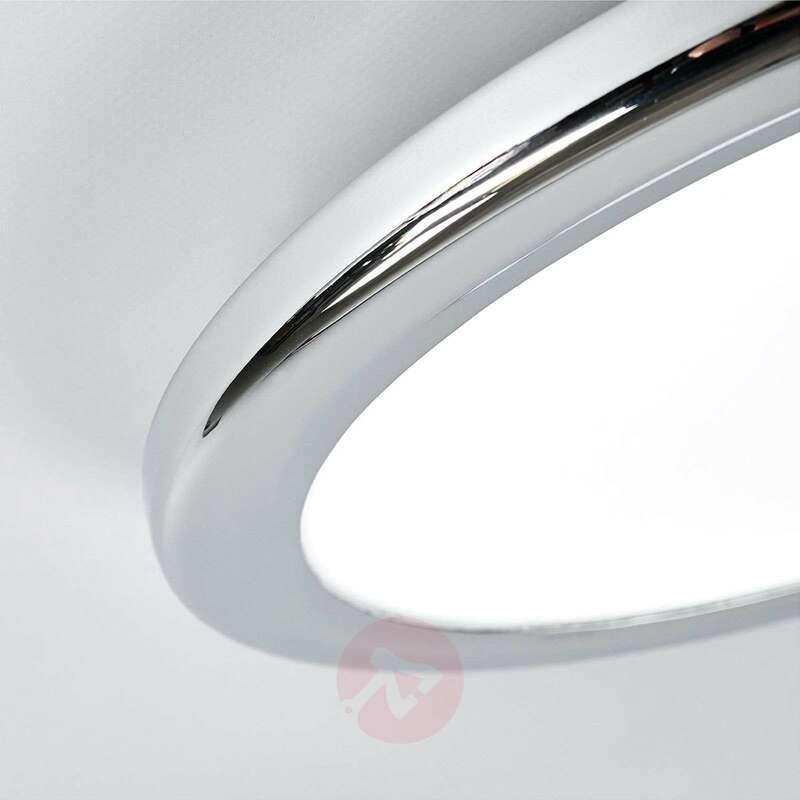 The chrome finish as well as the IP code IP44 speak for a use in the bathroom. 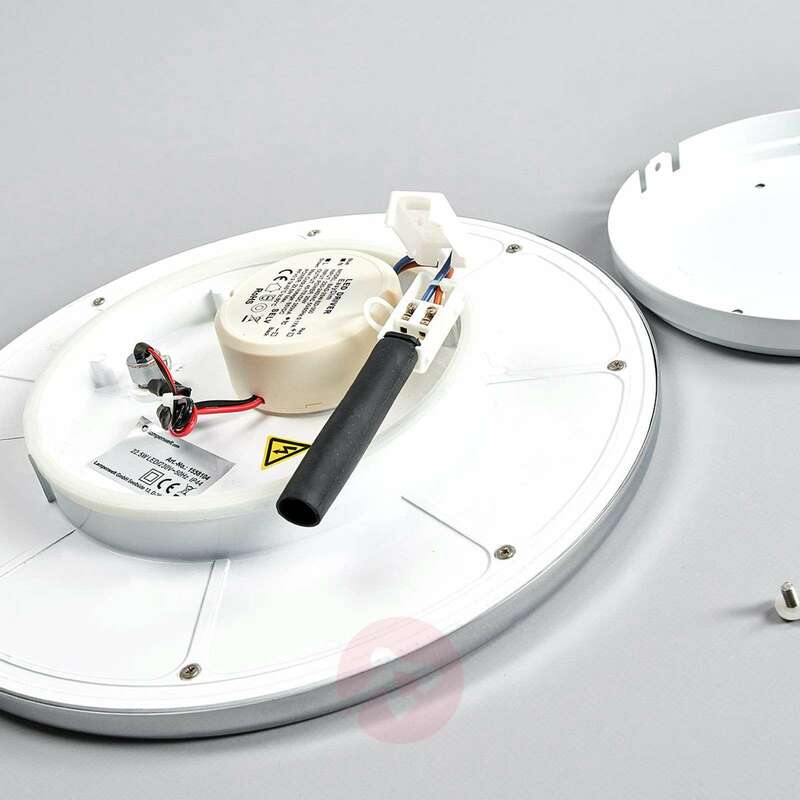 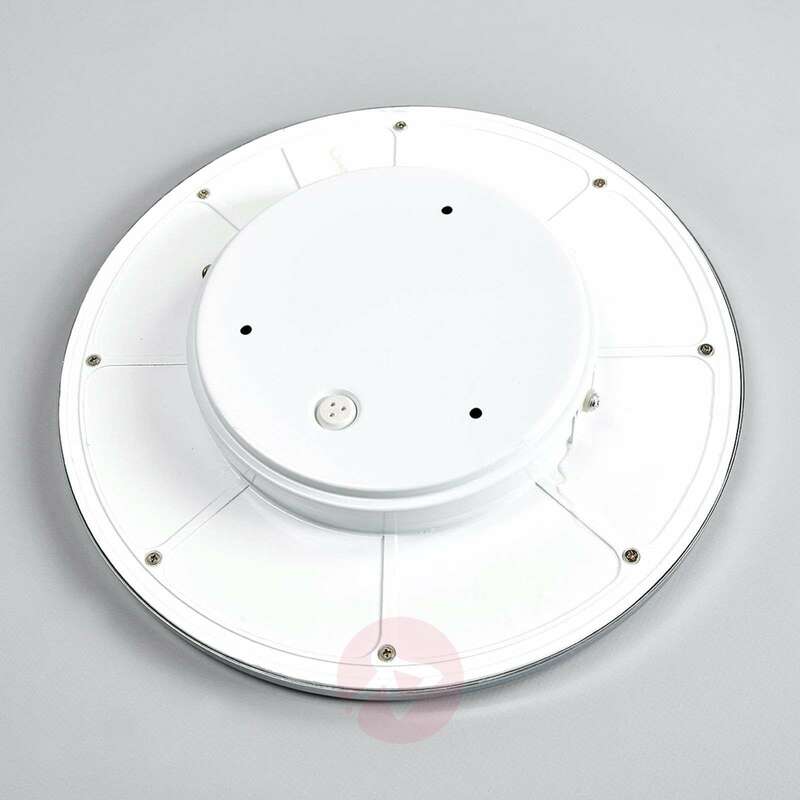 From a functional point of view, the Easydim technology must also be pointed out, because it is really innovative because the wall switch is sufficient to dim the light. 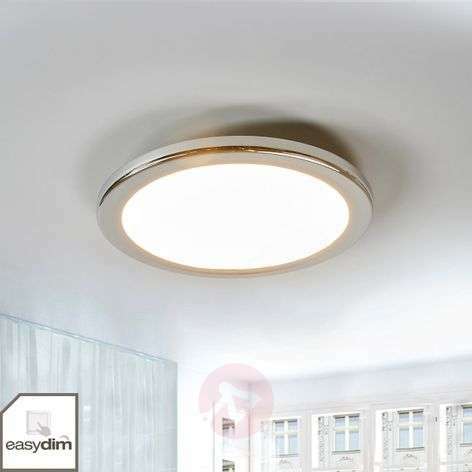 So you do not need to install a dimmer, you do not need any other accessories. The dimming process can be easily activated by pressing the switch twice in quick succession. 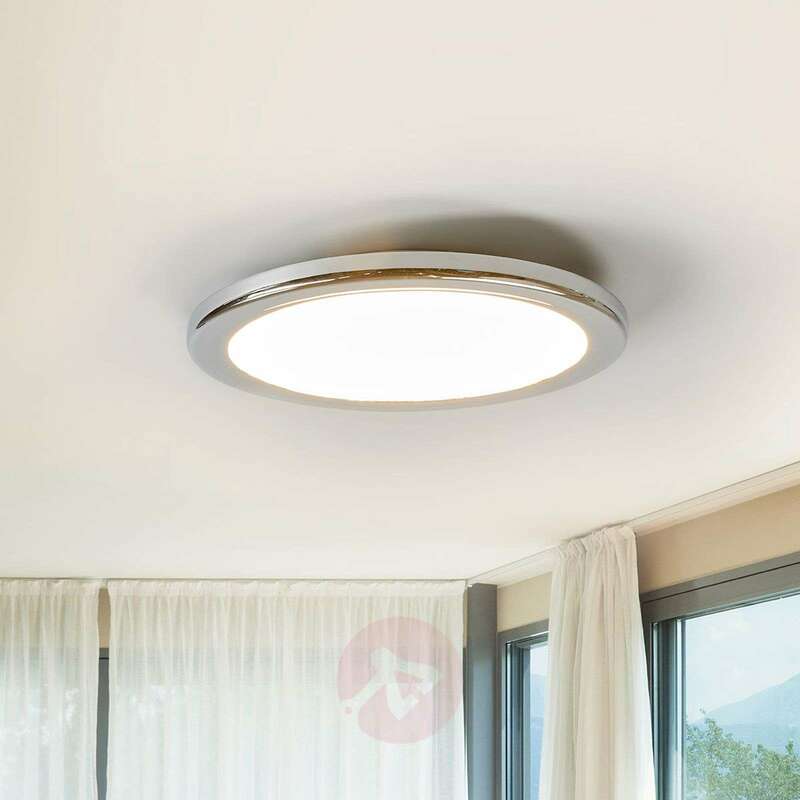 Afterwards the light is dimmed at a slowly and the process ends when ten % brightness is reached, or before, when you set a brightness of choice by repeating the switching operation.